Please can you ensure you son is prepared to participate in warm-weather PE. A cap, sunscreen and a bottle of water are key items for your son to have, especially during the double periods. Thank you for your assistance in this matter. Year 7, 8 and 9 have Games timetabled for internal exam week. Please could they come prepared with PE kit and warm-weather items detailed above. The PE Department will be running a house softball tournament within those sessions. If the weather is poor we will provide alternative physical activity indoors. 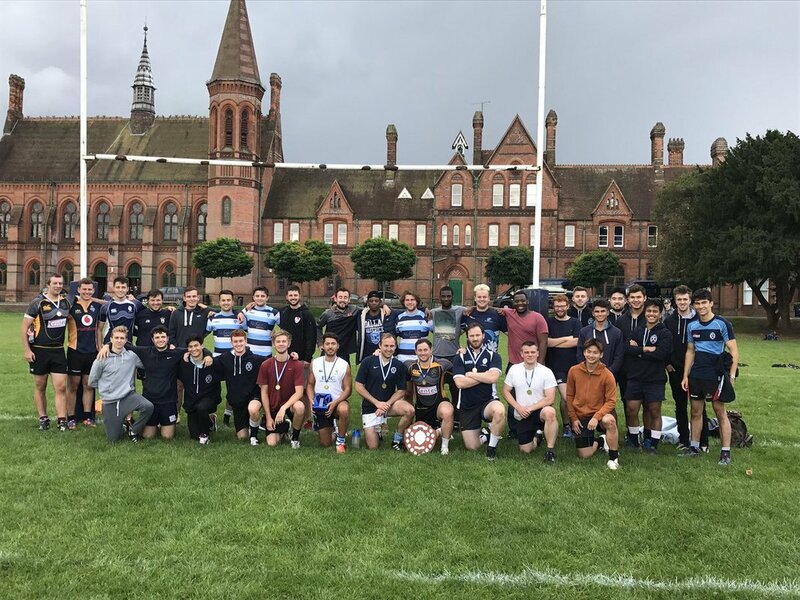 Match Division is the name that Reading School gives its after co-curricular clubs that focus on preparing boys to represent the school in rugby, football, cricket and athletics. There is a level of commitment required from your son to join a Match Division. Firstly they must be available to make training and secondly they must commit to the published Saturday fixtures. Failure to attend training means they won’t be considered for selection. Failure to be available for Saturday fixtures means they will be withdrawn from the Match Division. Being unable to field our best teams on Saturday will result in a loss of reputation for the school and the withdrawal of fixtures by other schools, making it impossible to sustain the current level of provision of school sport we offer. Please note that finish times for cricket fixtures are an estimate. Due to the nature of cricket the games might be much shorter (or occasionally longer). We do our best in trying to approximate finish/return times, but this can be a little more difficult with regards to cricket. Thank you for your patience in this matter. Just as a reminder on top of the weekly email about PE and School sport we also have a twitter feed which can be followed @RSSportandPE and also a blog which can be found at http://readingschoolsport.weebly.com/ which provides details about PE, House Sport, extra-curricular activities, upcoming fixtures and training sessions. Fixtures can also be found on the school calendar on the main school website. The PE department look set for another term. Why don't you come along and try and represent the School in Cricket, Athletics or Ultimate Frisbee. Or come and keep active in the gym in EMS club. ​All of the summer sports clubs can be found below or over at the this term part of the website. After three trials Reading School has six boys named in the South of England U18 Lacrosse squad. The Key Stage 4 Badminton team won their regional championships making the upcoming National Finals, making it a 3rd time in a row for a number of the squad. Well done to all involved. With the cricket season fast approaching we are in need of help to prepare refreshments for Saturday morning fixtures. This will require making up refreshment boxes on a Friday evening or Saturday morning for the home teams to enjoy during their innings. If anyone is able to offer their help for future fixtures please contact RSPA Friends of Sports’ contact Dee Smith on deesmithpictonway@btinternet.com, We hope that all sports parents/carers will be willing to do so during the upcoming cricket season. Please find the confirmed block fixtures for cricket on our sports website, with directions. As more fixtures are confirmed they will be added to the website and also the school calendar on the main school website. http://readingschoolsport.weebly.com/calendar.html If your son is interested in representing the school in cricket next term, please check they are available for the Saturday morning fixtures. Attendance at training and availability for fixtures are essential criteria for joining a Match Division. Please can your son excuse himself from lessons and ensure he catches up on both missed classwork and school work. Turn up in playing kit and tracksuit. Will need waterproofs! Ensure he has food and drink all day. Return: 3.30pm at the latest. Following the success of last year's fixtures, we are once again offering you the opportunity to play cricket against the Reading School 1st XI! The fixture will take place on Friday 29th June at 16:30 and parents, grandparents and friends are all welcome to get involved. Please request an expression of interest form from m00036@reading-school.co.uk (one form per player) and return by the close of play on Saturday 17th March to secure your place - entries will cost £10 per player, but you won’t need to pay until the teams are finalised. Please note that you must be aged 16 or over on the day of the match to play. With the cricket season fast approaching we are in need of help to prepare refreshments for Saturday morning fixtures. This will require making up refreshment boxes on a Friday evening or Saturday morning for the home teams to enjoy during their innings. If anyone is able to offer their help for future fixtures please contact RSPA Friends of Sports contact Dee Smith on deesmithpictonway@btinternet.com, We hope that all sports parents/carers will be willing to do so during the upcoming cricket season. Teachers in Charge: Mr Beckey and Mr Allen. This year's SPOTY nominees are revealed! Congratulations to our Lacrosse 1st and 2nd teams, who placed 2nd and 3rd in Sunday's Holder Trophy! An excellent result, and just the start of what will be another busy season for the squad. Reading's 1st XV secured a third win of the season with a 19-21 victory over Windsor Boys. Reading quickly applied the pressure to Windsor, who conceded a penalty within the first 5 minutes to put Reading 3 up almost instantly. Max Henderson then scored Reading’s only try of the first half showing great strength to get over the line in the centre of the maul while playing at 10. A dogged fight back in the second 15 minutes saw Windsor bring the halftime score to 7-9. In the second half, Alex Caballero scored in the corner following a good break from Tom Stevens and good handling from Toby Deans. After a Windsor comeback, which put them in the lead, the win was grasped by an excellent solo try from Tomi Amole who spotted the gap 15 meters from the line, before stepping the last man to get over and ground the ball. The match saw 5 people make their 1st team debut and they were Minh Bradshaw, who was an engine at flanker, Zalan Rozgonyi, Joe Holland, Ed Denman, who was given man of the match for solidity in defence, and Matt Rudd, who made some excellent try saving tackles to keep Reading in the game. Other notable performances came from Alex Caballero who ran hard throughout the game and Tom Stevens who made a significant impact coming off the bench. Overall a good result for Reading, who were missing five of the usual starting fifteen, and who will now look to push on and keep the winning form going. 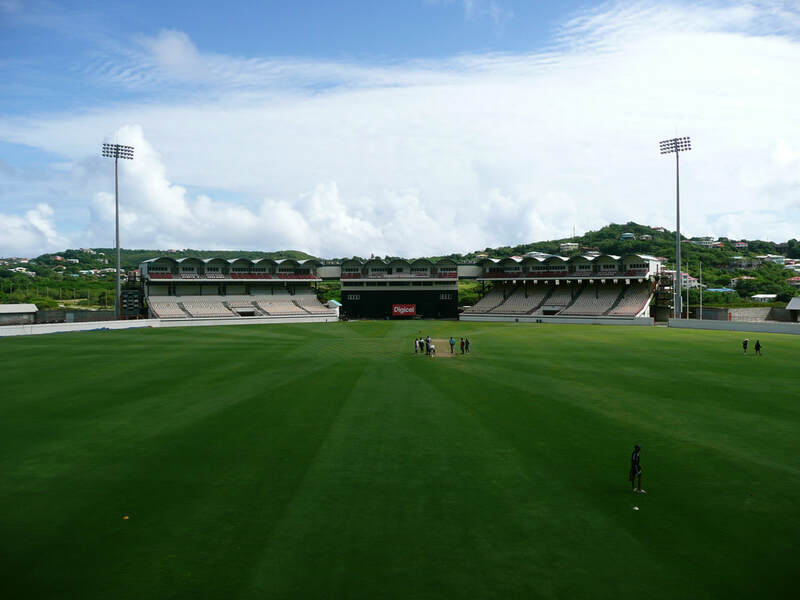 After an exciting two week tour of St Lucia, a full report has been compiled which encompasses the highlights of the trip. This can now be found below. ​Thanks to everyone who came along. The start of the new school year is closing in, and with that comes the start of a new season of rugby. Fixtures can now be found on the Calendar page of the website for the Michaelmas Term, and these will be transferred to the fixtures page before the start of term. With the Cricket season now complete, Years 7 - 10 have started their respective House Cricket campaigns this week. The A team competitions will culminate in two exciting days of cricket next Wednesday and Thursday on the school field - everyone is welcome to watch. We look forward to seeing you there! A huge thank you to everyone who took part in the two 1st XI vs. Parents fixtures on the front field over the last couple of Friday nights. Both games were very enjoyable and hopefully we will be able to run a similar event this time next year. Reading School Parents Match - Tomorrow, 16:30! Everyone's invited to come and watch a strong parents team take on the Reading School 1st XI side. Feel free to bring a picnic and support either side. In particular, thanks to everyone taking part for their support. If you can't make tomorrow's game (16:30 start), there will be another match next week at the same time. Please note that tomorrow's cricket fixtures have been cancelled to poor weather conditions. KS3 Badminton Team win the National Schools Title! Our superb KS3 Badminton team have won their final match against Tapton School with a scoreline of 3 - 2 to retain the National Schools title. With our KS4 team having won yesterday, it means that Reading School become the first school ever to win both the KS3 and KS4 titles in the same year. Congratulations are due to our incredible team of ten who bring home two trophies and a well earned set of gold medals. In addition, lots of credit is owed to Mr Pedlow, who has coached both teams throughout the year. Reading School's Key Stage 3 Badminton team have won both of their group stage matches 5 - 0 to storm into the final round robin of the National Finals. With a medal guaranteed, their campaign to retain the title begins at 15:40 this afternoon. Update: Our KS3 team win against Manchester Grammar 3 - 2 to set up a final match against Tapton School. KS4 Badminton Team wins the National Championship! Following 20 matches and a superb performance by everyone in the team, our KS4 Badminton team have won the National Schools Championship after defeating last year's winners Tapton School in the final by three games to two. Our KS3 team will be looking to do the same and retain their title when they compete tomorrow - their first match is scheduled to start at 12:00. Update: Reading School defeat Clayton Hall Academy 3 - 2, making three wins from three. Their last match is scheduled to start at 16:40 against Tapton School - winner takes all! Congratulations to our U12 and U15 cricket teams, which both won their first round county cup fixtures this week - Once Wednesday's results against Oratory School have been confirmed, this week's results will be added to the website. This weekend, we take a break from the cricket and instead compete in the National Schools Badminton Championships. Our KS4 team will be taking part today, with our KS3 team taking part tomorrow. Good luck to everyone involved! Please note that the U14A fixture tomorrow has been cancelled. The U12A fixture will go ahead as planned. Almost 60 fixtures for next term have been finalised, with a total of 10 teams participating. All of the details for these can now be found on the Fixtures and Calendar pages. Thank you to everyone who has represented the school this term, and we look forward to another great season of sport after the Easter break.